If you haven’t connected with Ben Eubanks yet, you don’t know what you’re missing. Ben’s a Human Resources professional who’s blessed with endless energy, great ideas and best of all—enthusiasm for his profession. He’s started creating monthly e-books (I swear, he must never sleep!) based on a theme that’s relevant to those of us in the talent management and leadership development profession. This month’s theme is “employee engagement” and I’m pleased to have one of my articles featured in it. 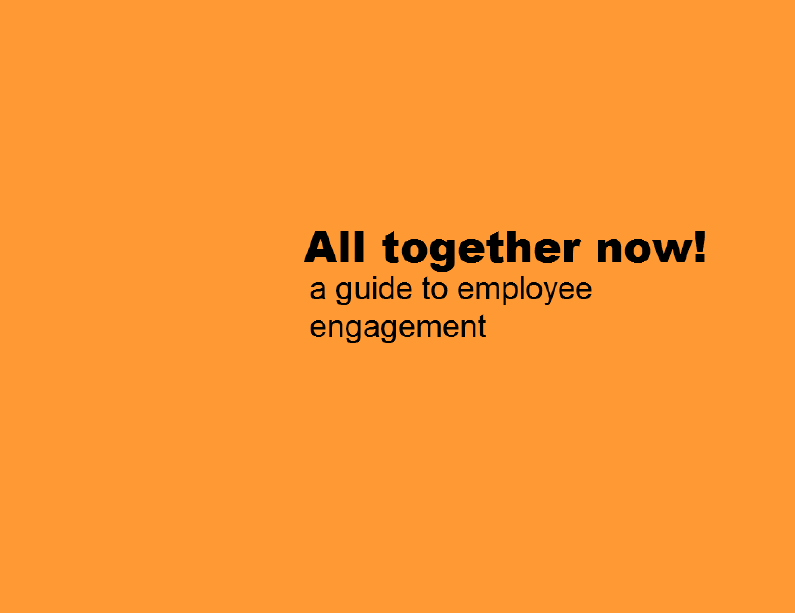 You can download the e-book “All together now! A Guide to Employee Engagement” from Ben’s blog upstartHR by clicking here. Thanks, Ben for all you do for the HR profession.